Monogram geometric tote bag. Tote this stylish and trendy garden gate pattern that is eye catching in a popular color combination of gray and white. Medium size carry-all tote for the city traveler. Conveniently will fit a days necessities, ipad, nook, lunch, etc. Add a name or monogram for a complete look. 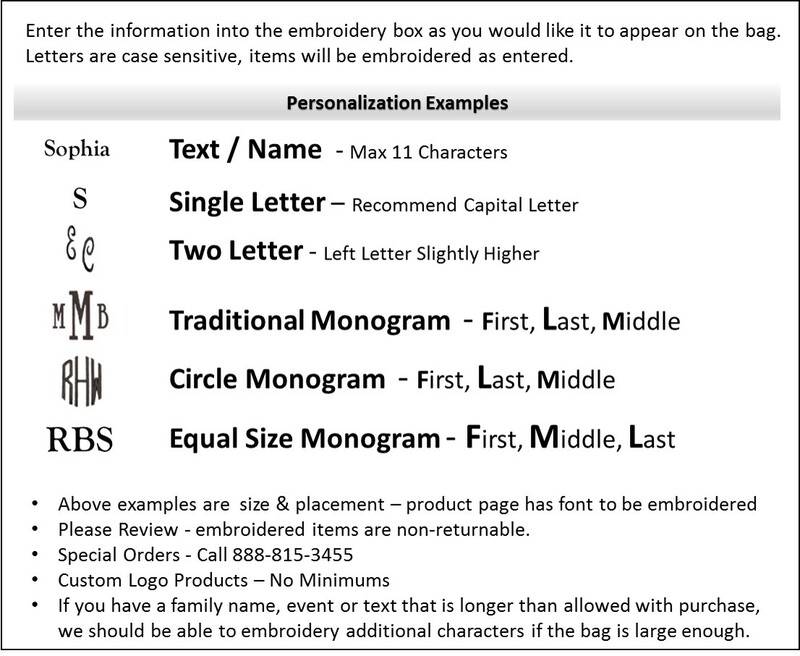 Personalized and embroidered geometric tote bag measures 19"W x 14"H x 7" across bottom. Lined with a 6" x 4" attached accessory pouch for ID or keys. Front outside zip pocket, lined, sturdy footed bottom, web handles and zipper closure. I have not used this tote yet but they just came in the mail and they look and seem like what i had hoped! Very sturdy and well made! We bought these as gifts for our volunteers at school and they are great! Could not have asked so thing better at such a reasonable price. I ordered 6 of these bags for my bridesmaids! They are great quality, the price is fantastic, and I couldn't of asked for better customer service!! !